High quality spray equipment for industrial and commercial applications. 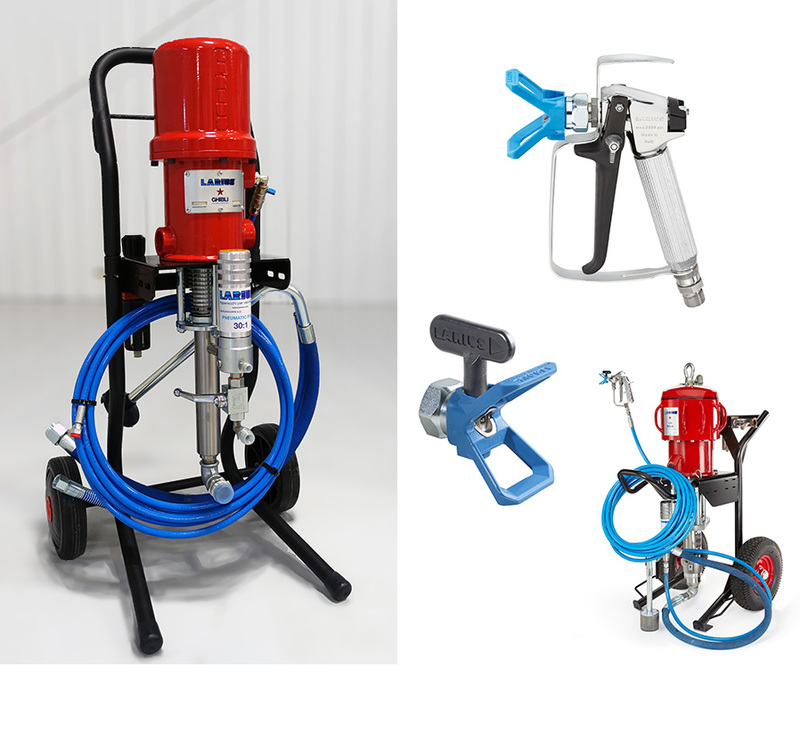 A complete line of spray guns, tips, hoses, and rebuild kits allow us to support your new Larius® spray unit. Complete with our in-house repairs and maintenance; rentals available so you have no downtime. High and low pressure application systems for every type of spray application including powder coating, electrostatic equipment, liquid coating, multi-component, and fully-automated systems. Made in Italy from the highest quality materials by experienced in-house engineers in their state-of-the-art machining facility. Solutions for all your fluid handling needs! Transfer pumps for chemicals, solvents, oils, and paints; dosing systems for factory applications; and even specialized line marking equipment for roadways and parking lots.